I’ve been shooting with my Fuji X100S almost exclusively the past few years. It packed a big punch in such a small camera, and its ease of use and discrete appearance fit well within my needs of cityscape and street photography. However from my background of using Canon DSLRs, I missed having an interchangeable lens camera, and the ability to swap focal lengths to fit certain shooting needs. With that, I sold my leftover Canon gear and used the money to help fund for a Fujifilm X-T1. I figured if the X-T1 was anything like my X100S, it would be a keeper. Here are my first impressions. The X-T1 a flagship camera of the Fujifilm ‘X-Series’ mirrorless digital cameras. Announced in early 2014, this camera is the first in the series to be weather-resistant. I purchased the X-T1 with 18-135mm f/3.5-5.6 lens kit. Right out of the box I noticed how small and light the X-T1 body is. The size and weight are actually similar to the X100S. Of course, it looks more serious when you add the lens to the mix. The X-T1 design, with its pentaprism, various knobs, and lugmounts, looks as if it was a film SLR from the 1970’s. Its controls give a nostalgic yet intuitive shooting experience. On the top of the body, there are three dials dedicated directly to ISO, shutter speed, and exposure compensation control. On the lens, there is a ring for aperture control and of course a ring for focus control. All these fundamental shooting controls are out in the open, and accessible to the user, and there’s no fumbling around through any menus or buttons to access them. Since I was familiar with the X100S, it took me no time at all to get used to the X-T1. One of my favorite features of this camera is the electric viewfinder. Fujifilm really put a lot of thought in this viewfinder since it’s gorgeously large yet it does not have any noticeable lag. Overall I am in heaven with this camera so far; it’s fully what I expected coming from Fujifilm. The photos I get are nice and crisp, even in not-so-ideal lighting. I plan to take some excellent photos with this one for a long time. 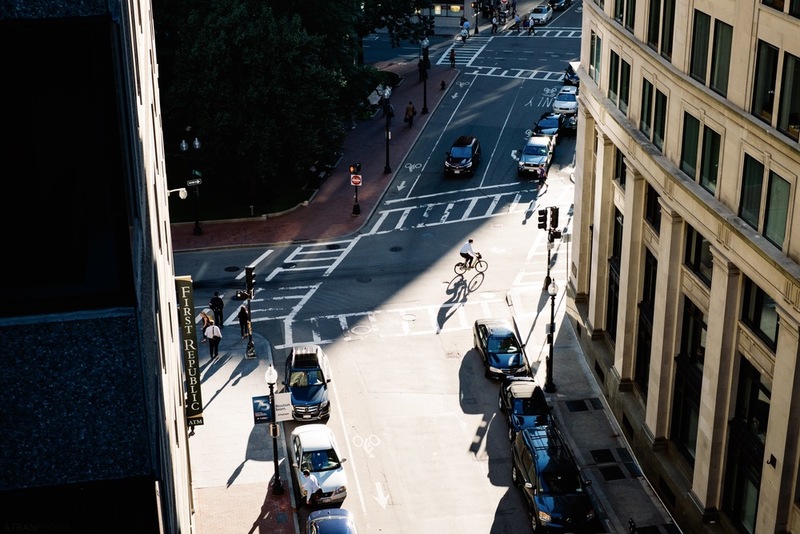 For now, here are a few shots I took around Boston with the X-T1.